It’s been more than five years since Showtime’s Dexter came to its terrible conclusion, freeing the world from the burden of having to continue watching a TV show they don’t like anymore, but something even crueler took Dexter’s place: Seemingly constant rumors about Showtime putting together a Dexter revival or reboot or spin-off. In 2015, the network itself put out an image on the Dexter Twitter account that seemingly teased that a revival was in the works (even though one was not), and earlier this year a poster promoting more Dexter adventures began to spread around before Showtime debunked it as a fan-made fake. 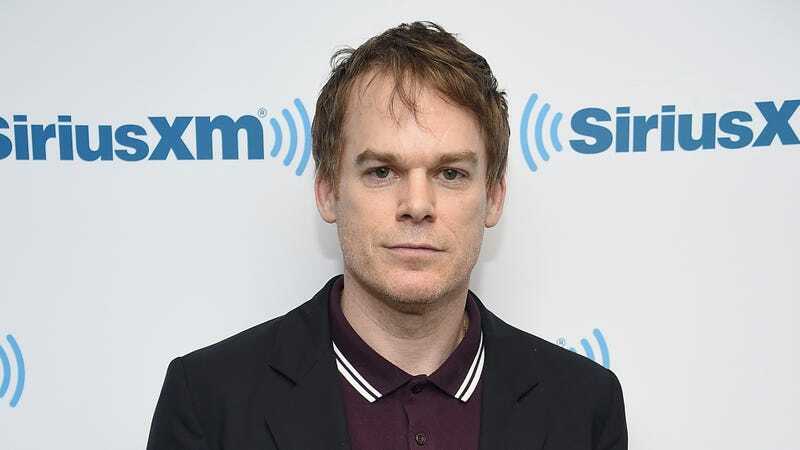 Today, in a new interview with Variety, Dexter star Michael C. Hall brought up the idea of more Dexter again, claiming that “people on the street” are always telling him that there’s “talk of a Dexter reboot.” We’re not sure why anyone would think that they’d know more about this than Michael C. Hall, but either way, he says there have been “little percolations” about Dexter but none of them have “felt worth pursuing.” That being said, he’d still go back to the show if he had a chance, reminding us that Dexter Morgan is “not dead” (as if we needed another reminder that he’s currently a lumberjack). So we’re safe from Dexter for now, but Hall is ready to go at any moment.